the APP is for teachers of Singapore primary school. 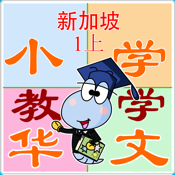 Chinese bookworms help kids to learn to write Chinese characters in a fun and intuitive way! Based on the Singapore Ministry of Education latest Primary 1 to 6 Chinese syllabuses.